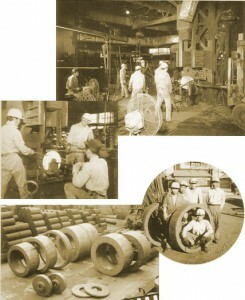 ■ Toa Forging was established. In 1937, Yoshie Moriyama established Toa Forging Co., Ltd. in the town of Takatsuji, Showa Ward in Nagoya City. After the World War II the whole country was in confusion, and there was a high demand for industrial products and commodities, such as railroad parts, machine parts, axes, pans, pots, and kettles. We succeeded in meeting fast-changing customers’ needs, and developed forging technology that is the foundation of our current expertise. 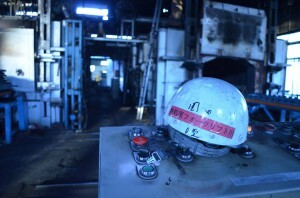 A Mie plant was built in 1962, and it has become corporate headquarters later. A rotary forging machine (rolling mill) from Germany was added to the production line. 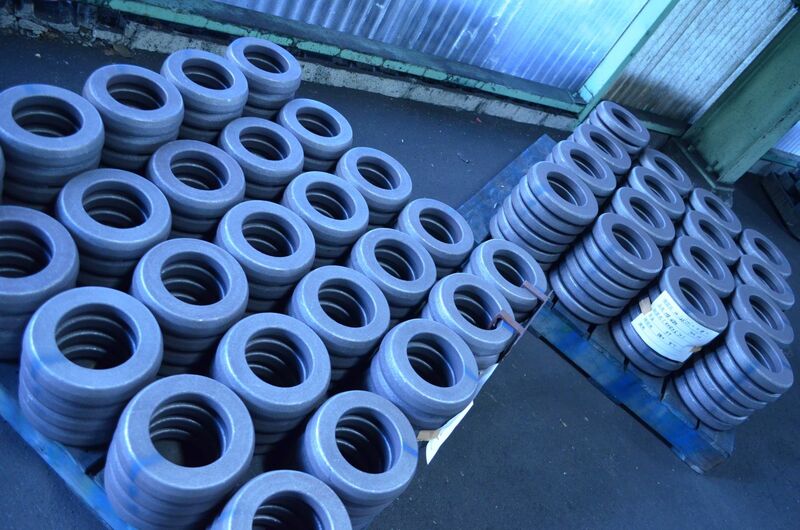 This allowed us to bring out stable and high quality products. The company has become the forging company for rings with little waste and superior quality. ■ Arai Forging was established. The reputation and expectation of Toa Forging became higher more than ever. 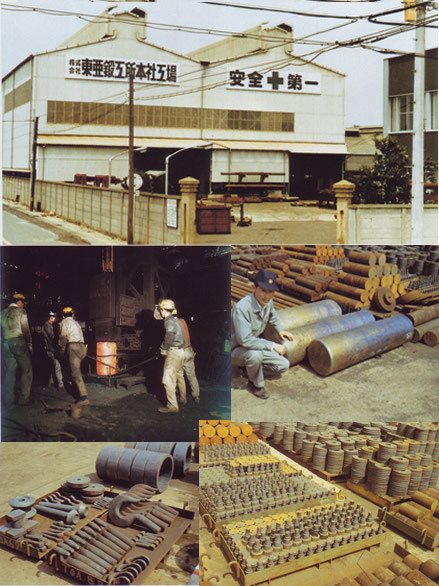 Arai Forging Co., Ltd. was established in Myoko City of Niigata Prefecture in 1974 as a joint venture with Sumitomo Heavy Machinery Industries (Current ratio: Toa 86%, Sumitomo 14%). 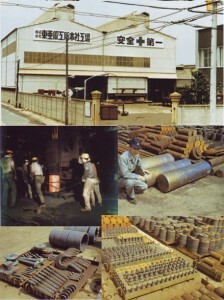 The plant specialized in gear materials, hammers, and press molding. In 2011, we established a new research space to meet the demands of customers, both domestic and international. Our innovative forging technology will continue to be our focal point in achieving excellence in product research and development.